UK's Largest supplier of second hand mezzanine floors. Design | Fabrication | Installation We buy mezzanine floors and reconstruct as new with massive saving. 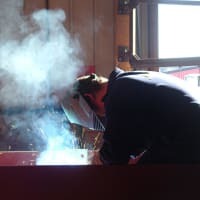 We specialize in mezzanine floors our 10,000+ square foot factory makes it possible for us to fabricate any size mezzanine floor, we give our clients the option off having a new mezzanine floor constructed from used steel. 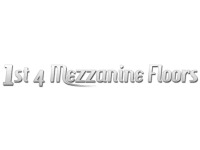 All our reconstructed mezzanine floors comply fully with British building regulations. 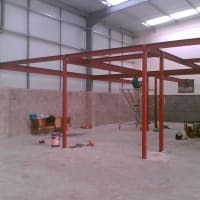 We buy 1000's of metres of mezzanine flooring every month and re-construct for clients requiring new mezzanine floors in our dedicated factory in the heart of the steel industry in Wales with massive savings passed on to our clients. Call to arrange a free consultation we cover anywhere in the England and Wales. We travel around the UK dismantling mezzanine floors, about two years ago while going through another steel crisis here at mezzanine floors we decided enough is enough and set out to buy up all un wanted mezzanine floors, either saving customers costly removal and transport costs and more importantly having all the materials required to re build new mezzanine floors with fantastic savings all to clients specifications. Get in touch now and arrange to speak with one of our mezzanine floor specialists. We buy mezzanine floors including stairs, floor beams , floor boards and railings. 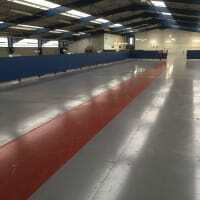 All mezzanine floors are different and all require a free site visit.